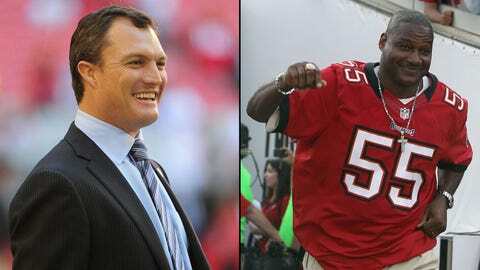 Former Buccaneers John Lynch and Derrick Brooks are both finalists for the Hall of Fame. TAMPA, Fla. — It’s Tampa Bay’s time at the Pro Football Hall of Fame. This year, the finalist class has a distinct Tampa flavor. 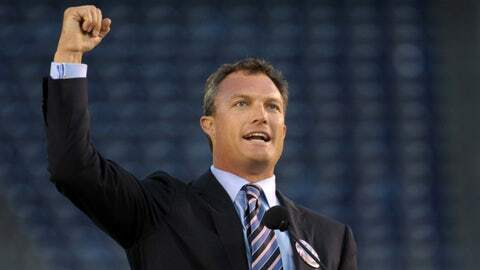 From Derrick Brooks to Tony Dungy to John Lynch — even Tim Brown capped his 17-year NFL career in pewter and red — some of the key figures from the Tampa Bay Buccaneers’ rise from league doormat to NFC power are considered for enshrinement. Who’s bound to give a speech in Canton, Ohio, in August? Who will wait at least another year? Stats and Teams: Tampa Bay Buccaneers (1995-2008): 1,715 tackles; 25 interceptions; 13 1/2 sacks; 11-time Pro Bowl player; nine-time All-Pro. Tampa Times: Search long and hard for a more thorough combination of impact and durability. Brooks never missed a game in his 14-year career, a remarkable feat. Warren Sapp was the bombastic personality of those dominant Bucs defenses of the late 1990s and early 2000s, but Brooks became the unit’s heart. There were so many weapons within that group — Sapp and John Lynch, Simeon Rice and Ronde Barber — but Brooks was the man who made the operation tick. He had at least 140 tackles each season from 1997 to 2000. He was a collected, quarterback-like presence who lifted the Bucs to heights they never would have reached without him. Primetime: Consistency was a hallmark of Brooks’ time in the league, but 1999 was a highlight in a career filled with them. He had 153 tackles and four interceptions, the second-most of his career behind the five he totaled in 2002. He also had two sacks, two forced fumbles and two fumble recoveries. Case for the Hall: This is easy. Brooks is arguably the greatest Bucs player ever. If Sapp can be voted as a first-ballot Hall of Famer, then Brooks should be as well. Brooks’ case is a lock. Stats and Teams: Tampa Bay Buccaneers (1996-2001), Indianapolis Colts (2002-2008): 139-69 record (9-10 in the playoffs), one Super Bowl title, one conference title, six division titles. Tampa Times: It’s difficult to imagine how different Bucs history would be without Dungy. Jon Gruden is credited with winning Tampa Bay’s lone Super Bowl title, but Dungy was the man who built the foundation for a championship run. Before Dungy arrived, 12 of the Bucs’ previous 13 seasons had ended with at least 10 losses. In short time, Dungy changed the losing culture, lifting Tampa Bay to the playoffs in his second campaign. Under him, the Bucs finished with at least 10 victories three times and had four playoff appearances. Primetime: After lifting the Bucs from the NFL’s depths, Dungy was awarded with a Super Bowl title of his own with the 2006 Colts. He beat the Colts’ largest nemesis, the New England Patriots, twice in the run — once in Week 9 and another time in a dramatic AFC championship game — to earn the right to play the Chicago Bears in Super Bowl XLI. The matchup paired Dungy against his former Tampa protege, Lovie Smith, who was a linebackers coach in their tenure together from 1996-2000. In the end, Dungy and Peyton Manning received their first Super Bowl rings. Case for the Hall: There are more decorated resumes out there, but Dungy was the first African-American coach to win a Super Bowl. Though he never appeared in the big game with the Bucs, his work to give life to a lost franchise also cannot be overlooked. 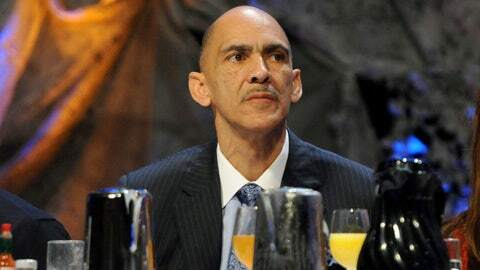 Dungy is also one of the most respected, well-liked figures in the game. All those factors should be enough to place him over the top. Stats and Teams: Tampa Bay Buccaneers (1993-2003), Denver Broncos (2004-2007): 1,058 tackles; 26 interceptions; 13 sacks; nine-time Pro Bowl player; four-time All-Pro. Tampa Times: Lynch’s rise is a credit to his resilience. 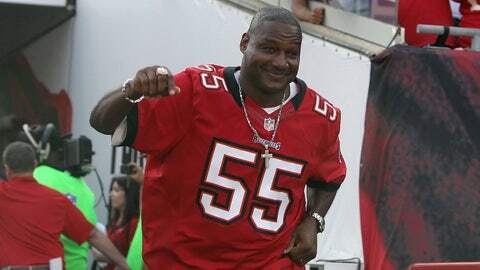 The former third-round pick started a combined 10 games in his first three years in the league, from 1993 to 1995, before he became a hard-hitting staple of the Bucs’ defense for the next eight seasons. His presence was a strong complement to the Sapp-Brooks duo, and along with Barber in the secondary, Lynch established himself as one of the game’s best at his position within a unit that stood as the league’s most dangerous. Primetime: Lynch was dynamic in 1999. He had a career-high 117 tackles (81 solo), and he snagged two interceptions. He also had one forced fumble and a half sack. Like he did most of his career, Lynch had a nose for the ball, which lifted him from an unknown early in his career to someone who became invaluable as an imposing personality deep in the secondary. Not a bad legacy to create. Case for the Hall: The 1,000-plus tackles are impressive for a safety. They speak to Lynch’s ability to evolve, as shown by his three seasons with at least 100 tackles with the Bucs (in 1996, ’97 and ’99). He also had four solid seasons with the Broncos to cap his career, during which he started 59 combined games and recorded at least 60 tackles each year. Still, this is a deep class, and it’s hard to see Lynch receiving a Hall of Fame nod as a first-time finalist. Stats and Teams: Los Angeles/Oakland Raiders (1988-2003), Tampa Bay Buccaneers (2004): 19,683 all-purpose yards; 14,934 receiving yards; 1,094 catches; 105 touchdowns; nine-time Pro Bowl player; one-time second-team All-Pro. Tampa Times: Brown’s Bucs tenure was an odd conclusion to a career spent mostly in silver and black. He only started four games in Tampa Bay, earning 24 catches for 200 yards with one touchdown. He also was used on special teams, where he had six returns for 48 yards. It proved to be his last campaign in the league. He signed a one-day contract in July 2005 to retire in Oakland, a fitting end for the self-proclaimed "Mr. Raider." 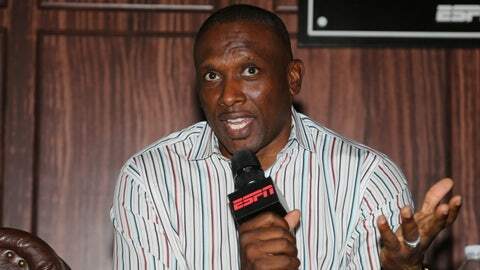 Primetime: With Brown, it’s more appropriate to take pieces of many years. His peak was between 1994 and 1999, when he had four seasons of at least 1,300 yards receiving. His career high of 104 receptions in 1997 happened in the window. In that six-season span, he averaged at least 81.8 yards receiving per game four times. When he was on, few were better. Case for the Hall: Will this finally be his year? Don’t count on it. Debating Brown’s Hall of Fame worthiness has become a rite of passage for voters. This is his fifth consecutive year as a finalist. It doesn’t help him that there has been a logjam at wide receiver for voters to consider — Cris Carter was enshrined last year, plus Andre Reed and Marvin Harrison will be debated this weekend — so another year should pass without Brown being tapped for Canton. He’ll receive his gold jacket in time. But his wait should continue.